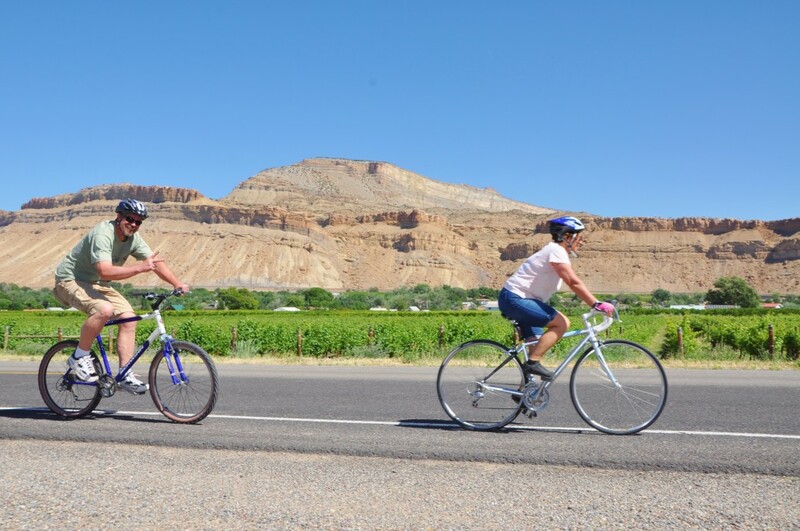 With the sun shining down, the majestic Mount Garfield and Grand Mesa standing guard and smooth road ahead, there is no better way to experience Palisade, Colorado, than on your bike. 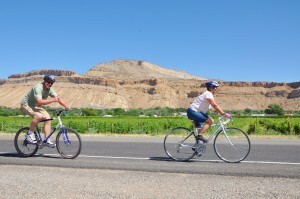 You’ll get to see Palisade orchards and vineyards up close by riding East Orchard Mesa between Highway 6 in Palisade and Colorado 141 south of Clifton. Begin at 38 Road in Palisade, which takes you zigzagging through grapevines, peach, apple and cherry trees and two wineries with public tasting rooms. At E Road, turn left one D 1/4 Road and continue following the road, which will continue heading south and west. When you get to 32 Road/Colorado 141, head north and then east on D 1/2 Road. Continue heading north and east until you reach Palisade. 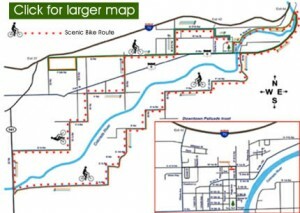 Rapid Creek Cycles located here in beautiful downtown Palisade has all your biking necessities from rentals to trails assistance, and bike maintenance. Visit the link below for their website.